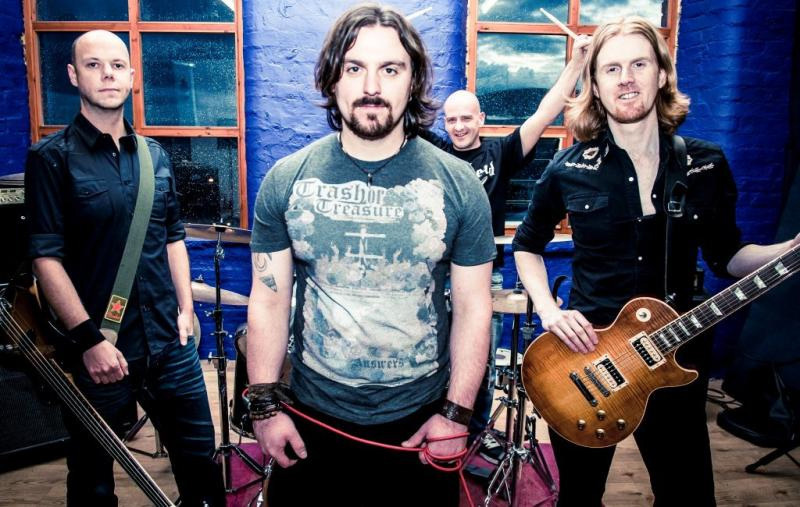 Here we have a debut album from Northern Ireland�s Screaming Eagles. This band was recently introduced me, and the first thing I noticed was a continuous wall of energy from the music. Blues based hard-rock that screams 70�s hard rock without being retro. If such a term existed, I would describe them as modern classic rock band. Vocalist Chris Fry�s vocal style sounds parts Paul Rodgers of Free/Bad Company, Chris Robinson of The Black Crowes, and even a little Chris Cornell. Screaming Eagles: the happy birds. While every song is well produced, well performed, the first few songs to me seem to suffer from a little deja-vu. Repetitious melodies and tempos from the first song All the Way through the third song Hungry for More, seem as if you�re listening to almost the same song with a few different riffs being thrown in. While this kind of repetition can doom a CD, I believe by the fourth song, Fight the Fire, the band establishes some variety and through the rest of the disc, shows you what this band is capable of. The fifth song, Vampire, starts out with Fry singing soft over a nice 12-bar blues style guitar riff from Adrian McAleenan as it builds on that foundation into a hard-rocking blues song with a wah-infused lead that leads into another bluesy masterpiece of a solo. Devil in the Dust has a fun stop and go palm-muted riff during the verses while the chorus has a great melodic chorus. The solo again in that song, like the others on this disc really shows off the guitar chops of McAleenan. While listening to this song, I can imagine the band playing live in an arena with a wall of Marshall amps blasting behind them. Rock n Roll Soul is this album�s anthem, it�s their ode to everything rock n roll, from its solid bass playing and drumming of Ryan Lilly and Kyle Cruikshank respectively, to Fry�s vocals and McAleenan�s solid playing. One Man Revolution, Blood, and Take My Time close out the disc with a 3 fist-pumping songs that are as solid as the songs that come before it. This is an amazing debut for a band that wears their influences on their sleeves, yet establishes them as a new act, that is here to stay. Great vocals, Great musicianship, while somewhat repetitive is a lot of fun to listen too. For fans of 70s blues-based classic rock, or newer contemporaries like Wolfmother, this disc is easily recommended! 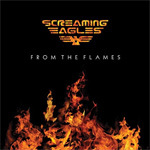 From the Flames is an amazing debut for Screaming Eagles who wear their influences on their sleeves, yet establishes them as a new act, that is here to stay.